If you are looking for kitchen remodeling in the Twin Cities, you have come to the right place! Titus Contracting can help with your next kitchen remodeling project. 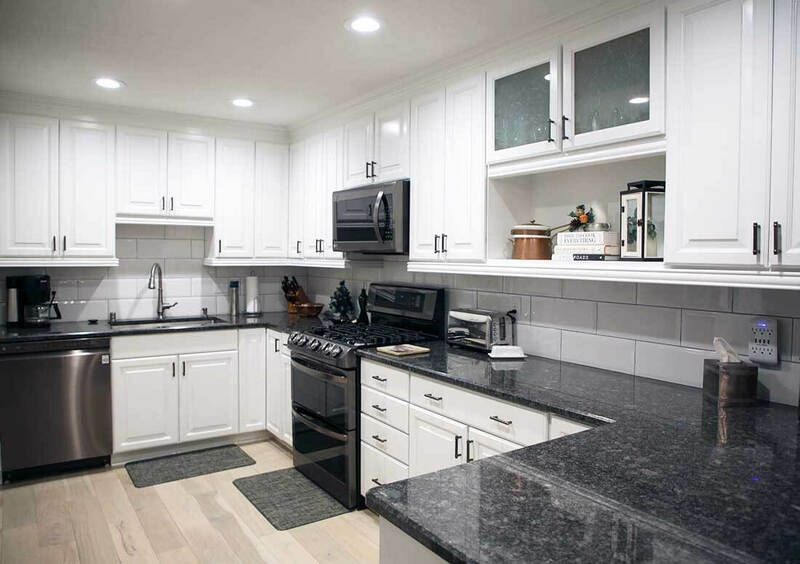 From helping you design the kitchen of your dreams through getting the necessary construction and work permits, Titus Contracting is there every step of the way to guide you through the kitchen remodeling process. The kitchen remodeling process begins with a consultation. We meet with you to discuss your wants and needs out of your new kitchen. After you approve our design plans, determining if you want new kitchen countertops, a more open kitchen, or a new eat-in dining space, we meet with our subcontractors and others. We then get the necessary permits while you pick out new fixtures and other accessories for your new kitchen. From there, we get to work on your kitchen remodeling project. We work quickly and efficiently without losing sight of the finer details of your project. Soon enough, you and your family will be enjoying your new kitchen! Why Titus for Kitchen Remodeling? We have decades of experience in the kitchen remodeling industry, and we have helped many of your friends and neighbors in this area with their kitchen remodeling projects. From start to finish, we will be there every step of the way. We will stay in contact with you so you always know where we are in your kitchen remodeling project. Your satisfaction and happiness are our highest priorities when we are tackling your kitchen remodeling project. We want you to be fully happy with the end results, and we want you to be fully happy with the entire process from beginning to end. We will work with you to incorporate as many of your ideas as possible so you end up with the kitchen you always wanted! After all, we know how important your kitchen is. In many homes and for many families, it is the main area where everyone gathers to socialize and spend time together. So you want the room to be both functional and beautiful. Titus Contracting can help turn your ho-hum kitchen into a thing of beauty and functionality! Just give us a call to learn more and to schedule your consultation. Check out our recent Bloomington kitchen renovtion for ideas. Are you interested in learning more about kitchen remodeling in the Twin Cities?